Landlord giving me my key! In 2013 I started a online group for survivors of child abuse and neglect with a buddy out of the UK named Innocence Lost and later in the year decided to start another online group for adult survivors of childhood sexual abuse that became known as EmpowerSurvivors. In 2014 EmpowerSurvivors became an offline organization that was held weekly at the local library in Stillwater,MN. When I started EmpowerSurvivors I had no idea where it would take me. There were times I wondered what the hell I was doing and other times I knew exactly what I was doing! Times I have put in long hours asking myself if it is all worth it and other times knowing in the depth of my soul that it was absolutely worth it. At times there has been a real battle of the mind but in those times I have tried to silence myself, listen to what I thought God was leading me to do and try to have the faith needed to keep going with the mission all along knowing this was way bigger then me. In 2016 we officially became a nonprofit and today we are getting out there more. There are alot of things I have failed at in my life. Things that I could have done different. Things that I should have done different but with EmpowerSurvivors it has always felt like this is what I was meant to do, what I was suppose to do.. I had no idea how I would pay for things. I have saved and crunched pennies to to be able to get EmpowerSurvivors where it is today.To date I have never gotten paid and make this my full time job. I have used most of my savings to be able to provide safe spaces for healing, education on childhood sexual abuse and prevention. There are times I've cried my eyes out and other times that I was filled with Joy. 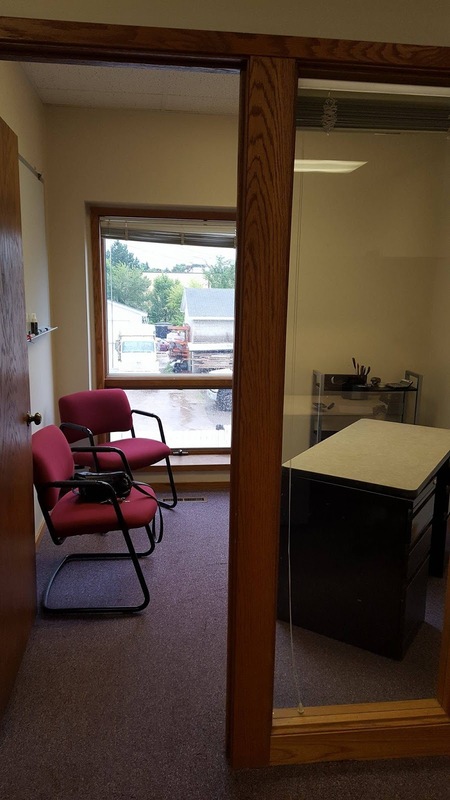 Today I am happy to say that EmpowerSurvivors has leased it first office space! Here I will be able to hold more meetings, offer workshops and classes and provide more for those affected by childhood sexual abuse. I cannot thank the people enough who have believed in me when most have not, for the people who have donated to the cause including my own kids. I want to thank those that have answered my many questions when I felt lost and not knowing what the heck I was doing. 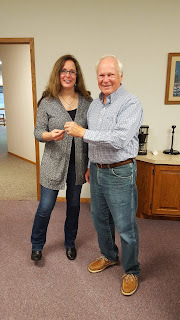 I used to think most people were bad but I am learning that their are good people in the world, strangers that have heard of what I am doing and handed me a $20.00 bill to help, a $5.00 bill or purchased me kleenex for the group. I had looked at office space many times and thought to myself , you better wait. Several weeks ago I looked at a place in Stillwater off of Greeley Street by the KC Hall and fell in love with the space. Again I began the battle wondering if I was insane to take the leap and lease this space. I prayed, I looked at my bank notes, wondered what the heck to do and felt that it was time to take a leap of faith and sign a lease. I was lucky enough to meet a nice man named Mr. Clark Nyberg. He has no idea who I am and was willing to go down in price to make leasing possible. 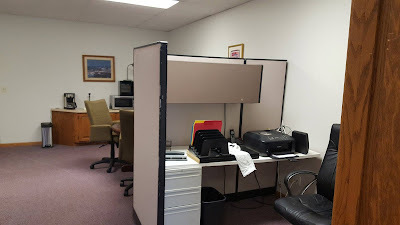 If that wasn't enough he also made it possible for me to have some used office furniture, a microwave and more. Today my youngest and I went to sign the lease and do some cleaning. 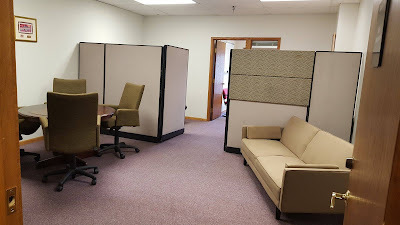 We moved around furniture, talked about what we can do with the space to help those struggling with the after effects of childhood sexual abuse , classes, and more. 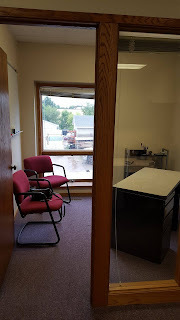 I sat in a chair and looked at our new office space for EmpowerSurvivors and went over the last 4 years in my mind. My healing journey and the survivors I have been lucky enough to meet along the way.I sat there and just thought what a great day this is. When I was thinking this my youngest daughter looked at me and told me that she was proud of me. I couldn't believe the strength in those words at that moment. I felt an ache for a moment, so touched that she would say these words to me and I knew then that I was right where I needed to be. Ways You can Donate:Would you be willing to pledge a monthly amount to keep my mission going?